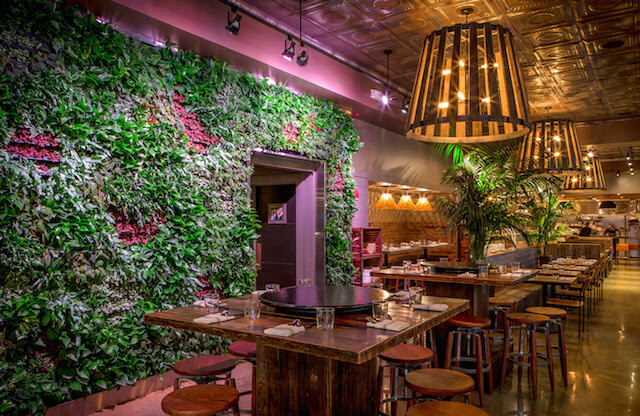 Tiger Mama introduces a dynamic alternative to Boston’s brunch offerings: Dim Sum Sundays. Chef Tiffani Faison, named Best Chef in Boston of 2016, offers her own take on dim sum with Tiger Mama classics, including cocktails, arriving via a roving cart and endless trays. Dim Sum Sundays will take place every Sunday, 12pm-9pm, beginning November 13, 2016. Whether diners are looking for immediate service or prefer to linger and enjoy a leisurely meal, Dim Sum Sundays is the perfect option. The weekly menu will vary, allowing guests to select original items such as Singapore Street Noodles, Lobster Spring Rolls and Pad Gra Pow, as well as newcomers like Sweet Sesame Pancakes, Chili Crab Toast, Thai Fried Chicken and Lamb Muturbak. Guests can also choose from specialty cocktails and Vietnamese coffee as they are circulated dim sum-style. A select menu of favorite, larger format dishes will also be available. All menu items will be priced at just $5, $10, or $15. “There’s nothing I love more after a night out than a fun, boozy brunch where food arrives immediately! Dim Sum Sundays spin off of that love and let us play with recipes we wouldn’t normally offer. While there are ample Chinese dim sum offerings around town, we thought it would be extra interesting to take the traditions behind the experience and merge it with our inspirations: Thai, Vietnamese and Malaysian cooking,” says Chef/Owner Tiffani Faison. Tiger Mama is located at 1363 Boylston Street Boston, MA. Reservations are recommended. To contact the restaurant, call 617-425-MAMA (6262) or visit www.tigermamaboston.com. Reservations can also be made via TableUp.